The chickens were “gifted back to nature” last Winter. No egg production and a new baby in the house brought this shortcut we didn’t like taking. I’ve updated the list of traditions and cultural artifacts I understood since moving to Vermont for the occasion. It made me understand how so many religions have the concept of sacrificing animals to deities, and the idea of offerings to gods in general. I heard the coyotes come from the next hill over the same night and rejoice at the bounty. I never had issues with coyotes, coincidence? I think not. Everything happening at night feels supernatural. It’s not the first time we take animals deep into the forest to be cleaned up, and this was likely a frequent occurrence in the lives of humans when religions popped up. 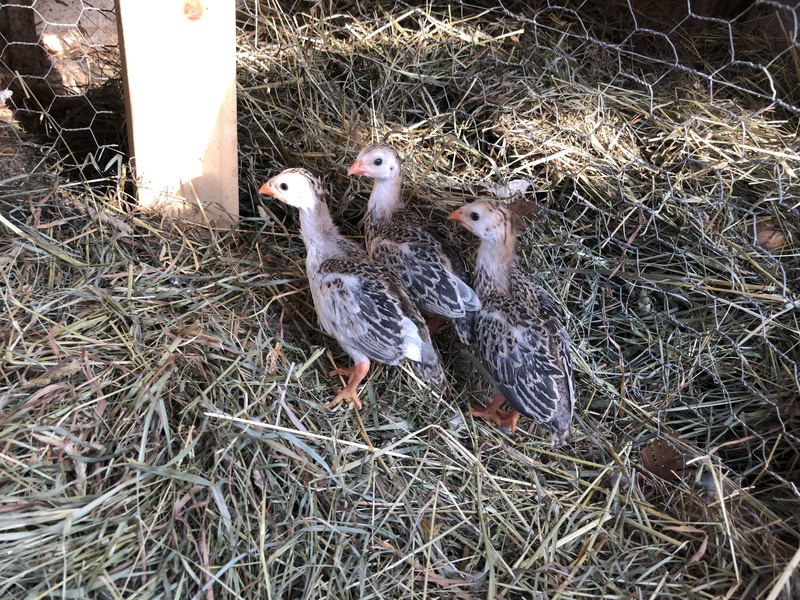 We’re populating the coop this time with Guinea Hens. Apparently they’re like guard dogs, but they also eat ticks, and snakes, and they require little feeding.